• Fibre is important for our overall digestive health—particularly in preventing constipation—not just for cancer prevention. Whole grains, spinach, cauliflower, carrots, wheat bran, apples, broccoli, beans, figs and pears are all great fibre sources. “Start slowly, adding more fibre every few days, and drink lots of water. This will help prevent the gas, cramping and bloating that can occur if you add fibre too quickly,” advises Yoshida. • Preliminary lab research shows that juices—cranberry and raspberry juices, for example—contain compounds called phenols that may prevent GI pathogens such as salmonella. And resveratrol, an antioxidant that is found in red wine, may zap stomach pathogens while leaving the healthy bacteria alone, according to a 2007 study from the University of Missouri–Columbia. About 100 trillion bacteria call your gut home—improve the ratio of good to bad bacteria by eating foods that contain probiotics (various types of healthy bacteria). Probiotics, which include lactobacilli and bifidobacteria, keep the lining of the colon healthy and may improve gut motility and sensation. While much of the research has centred on intestinal health, studies point to potential positive effects on the mouth and stomach, too. 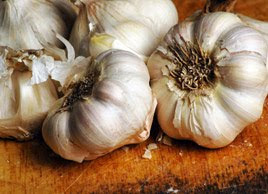 • To support the growth of probiotic bacteria, also choose foods known as prebiotics that naturally contain lots of soluble fibre, such as bananas, garlic, asparagus, Jerusalem artichokes, honey, leeks and onions. Foods such as cheese and cereal bars that are labelled “prebiotic” usually have added inulin, a soluble fibre most often extracted from chicory root. • Peppermint leaf and oil have long been used to help relieve digestive disorders by relaxing stomach muscles. However, avoid peppermint if you’re prone to heartburn—those same relaxed muscles can allow more stomach acid to move up through the esophagus, says Yoshida. “The small amount of flavouring in mint gum or antacids shouldn’t cause problems,” she adds. To soothe motion sickness, chew a one-inch (2.5 cm) piece of peeled raw ginger, or candied ginger, several hours before—and every four hours during—travel. Choose foods from the Mediterranean diet—lots of fruit, whole grains, vegetables, legumes, olive oil and low-fat cheese and yogurt; plus a moderate amount of fish, eggs, poultry, sweets and wine; and small amounts of meat. That, along with a daily exercise routine, will help you maintain a healthy body weight, advises Yoshida. • “If you lose weight, your GI tract will feel better. Carrying less weight helps prevent abdominal discomfort—that full, bloaty feeling—and acid reflux,” says Yoshida. Extra abdominal pounds increase pressure on the lower esophageal sphincter, which separates the stomach from the esophagus. That pressure makes the valve open more often, allowing food and acid from the stomach to backwash into the esophagus, causing heartburn. • Carrying excess fat in your midsection—even if your weight is within a normal range—puts you at risk for premature death, according to an American study of 44,636 women published in 2008. It concluded that women with a waist size of 35 inches (89 centimetres) or greater were twice as likely to die from heart disease and cancer, when compared to women with a waist size of less than 28 inches (71 centimetres). (To measure it, wrap the tape measure around your waist, above your belly button.) Belly fat can also boost your chances of developing chronic diseases such as diabetes and heart disease. Brush bread with olive oil instead of spreading with butter. You’ll consume about 50 fewer calories—and more healthy MUFA.